statue, capturing both the front and picturesque back side. 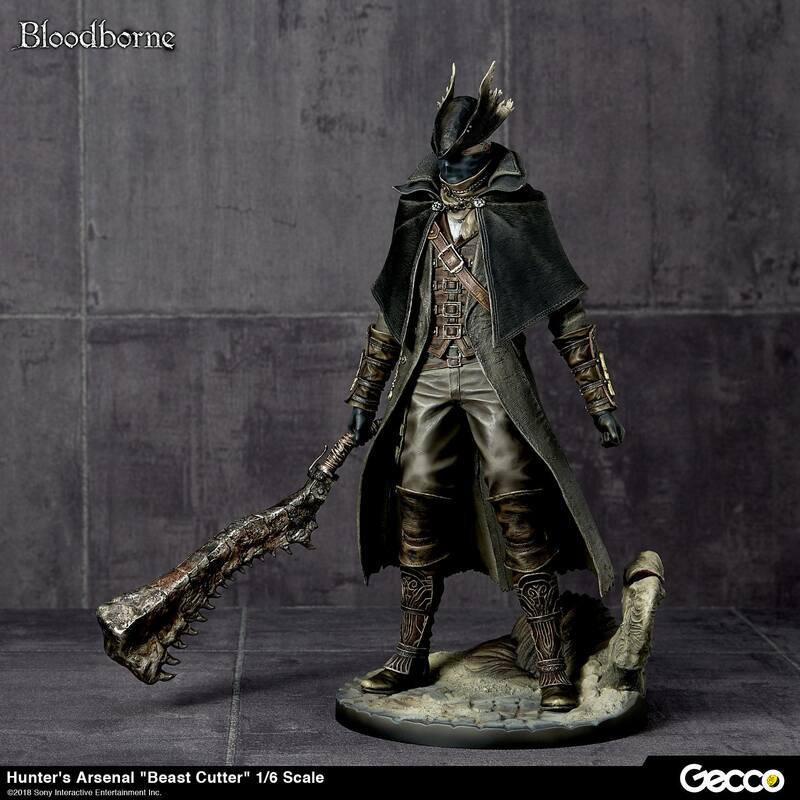 protagonist “Hunter” dressed in his “Hunter Set” are faithfully sculpted. 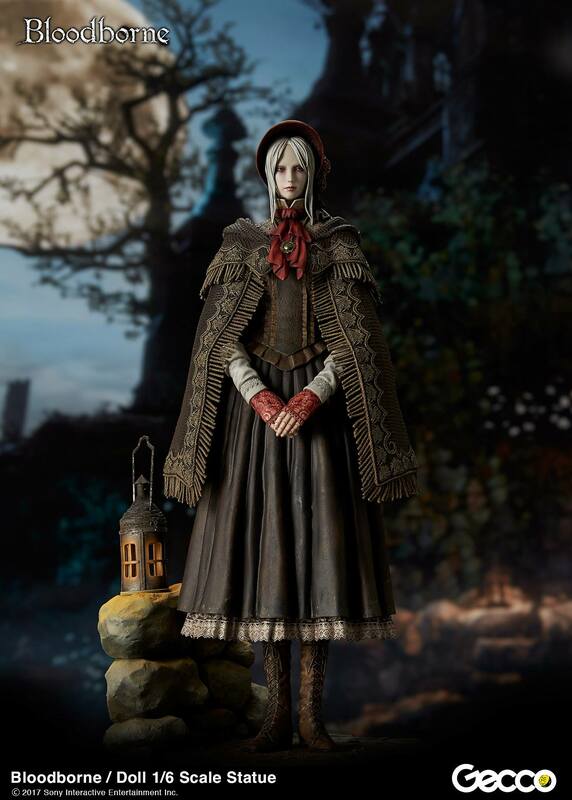 This statue features the game’s unique gothic atmosphere. standing amidst the deadly “plagued” air of the environment. 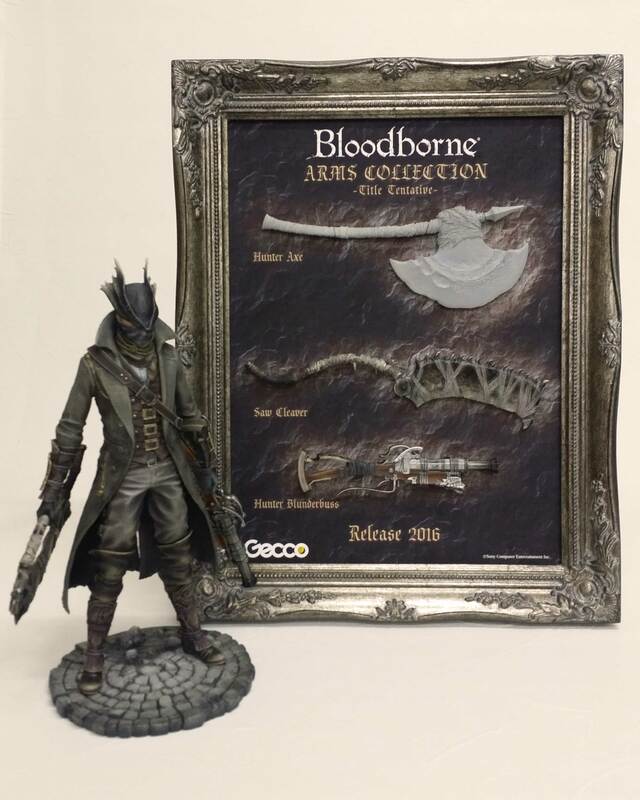 I'd be more excited about a Dark Souls statue set. 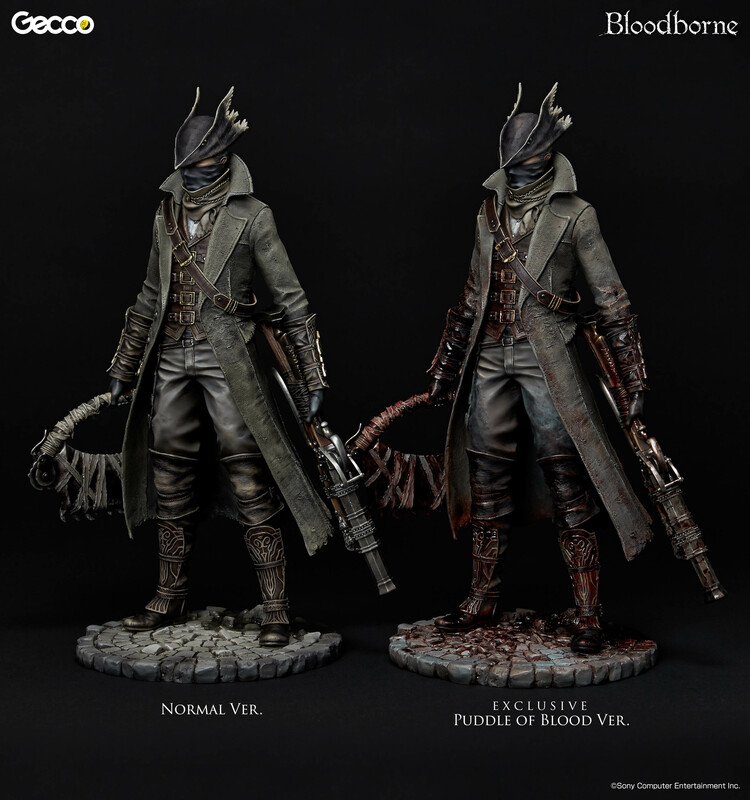 Solaire and Artorias would bring a smile to my face...This looks nice, but I have no familiarity with the game...The blood puddle version is the way to go. Unfortunately the price point seals my fate. I won't be getting this. However, it looks amazing. Basically perfect. 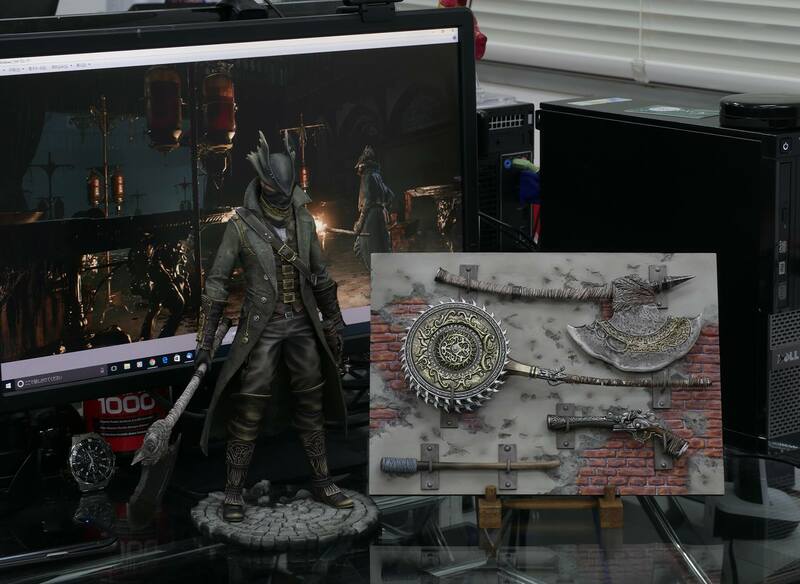 And agreed, I'd love some Dark Souls statues. A Lautrec would probably be an instant buy for me. 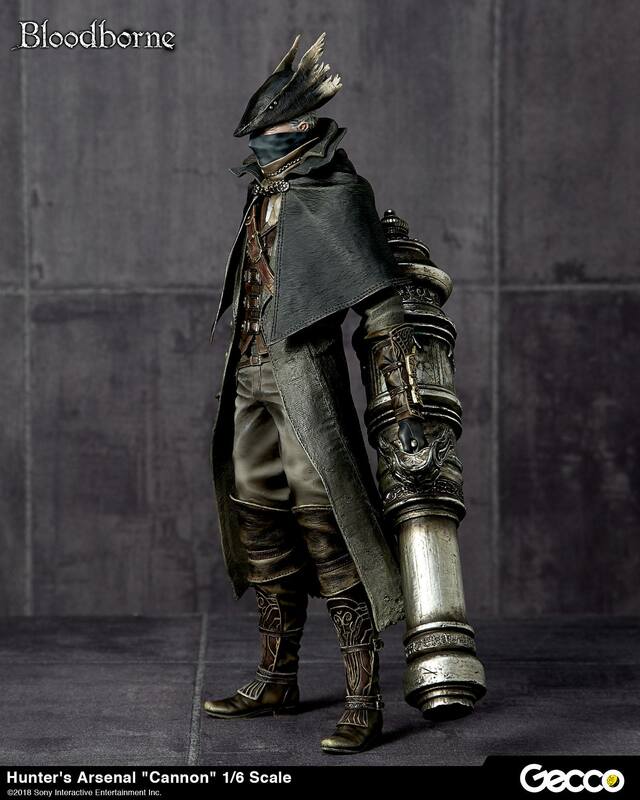 However, the Hunter is my favorite player character. 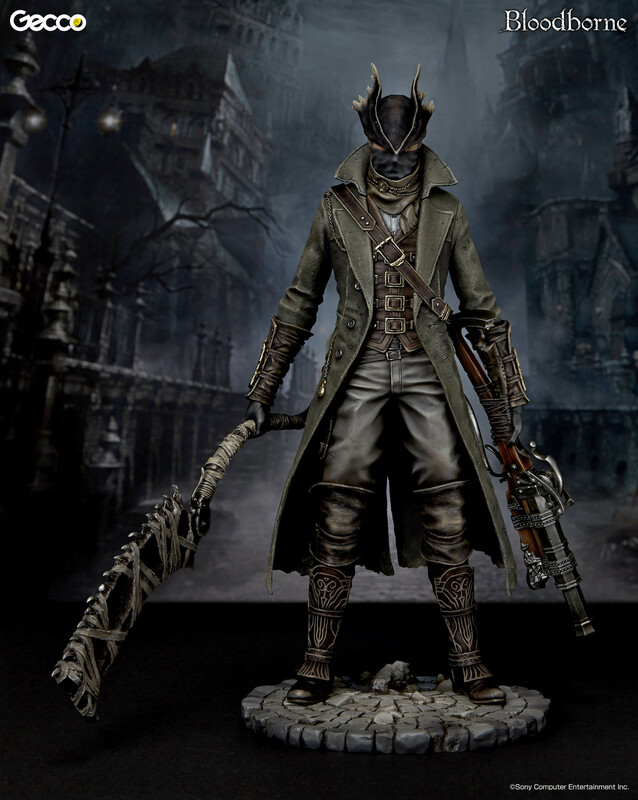 Bloodborne is a totally worthy entry in the Souls series. Gameplay-wise it's my favorite. I think it has the best story too, which says a lot because I think the first Dark Souls is one of the greatest games of all time. The price is very steep! I wonder how the commissioned sculptors do on the other end of these transactions? What a "perfect" jerk Lautrec turned out to be, huh? lol From the start, you knew his snide comments likely meant you would have to kill him... I liked the nice guys that were unintentional asses (kinda of like myself): Siegmeyer, Solaire, and Domhnall (Aye, siwmae!). 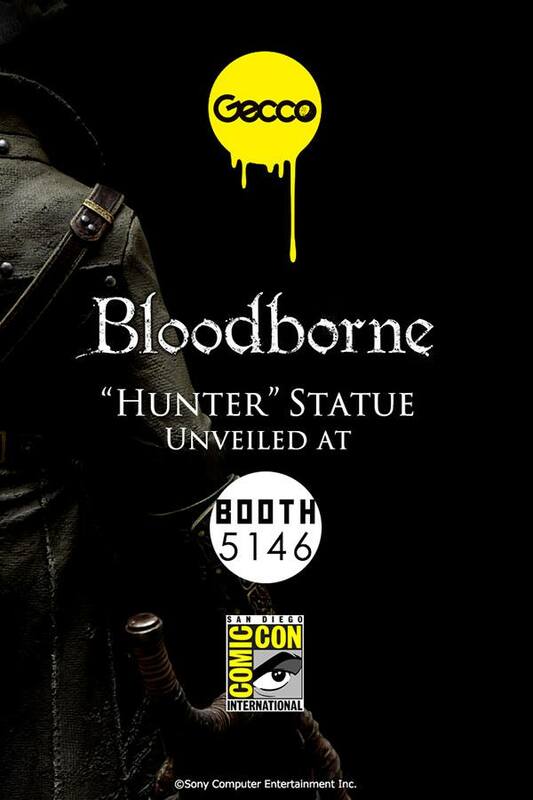 I'm sure Bloodborne is a great game. However, three months ago, I started an accelerated program to acquire my second bachelor's degree. In anticipation, I had to bow out of this generation of consoles in order to have any chance at squeezing four years of study into fifteen months of hell. 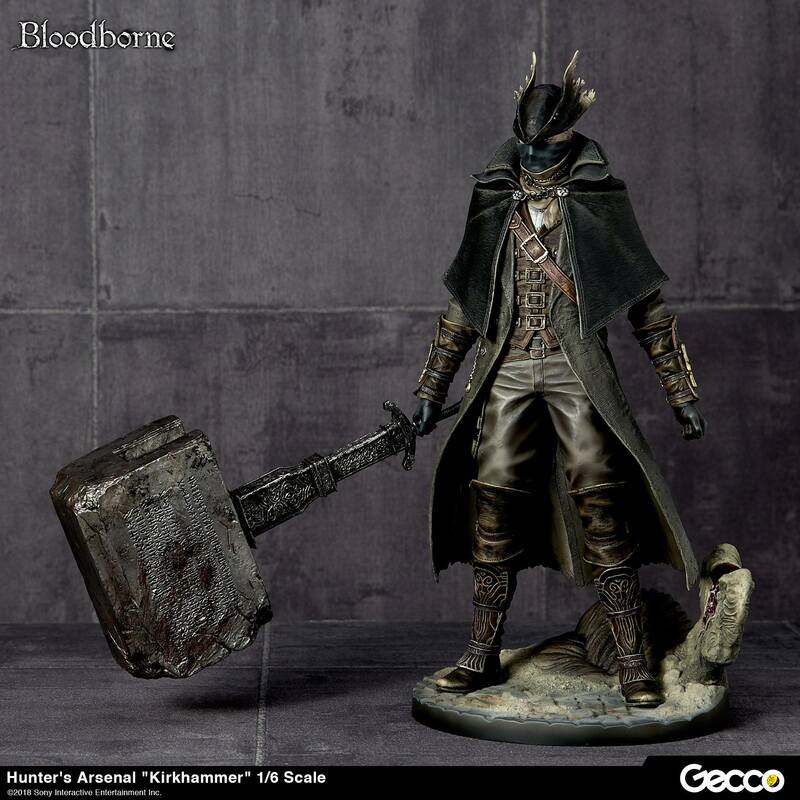 As soon as I'm finished though, I'll grab a PS4 and check out Bloodborne! I guess I'm not the most experienced with statues, but those weapon prices seem insane. Statue accessories that are $40-$60 apiece? lol, good luck with that. Hey guys, finally received the full set and made a review. 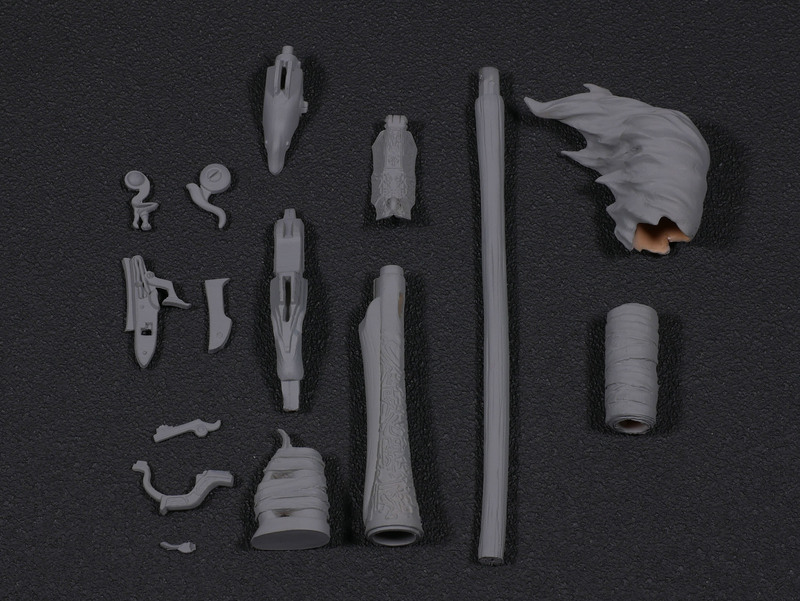 Nice pieces, especially the pistol. 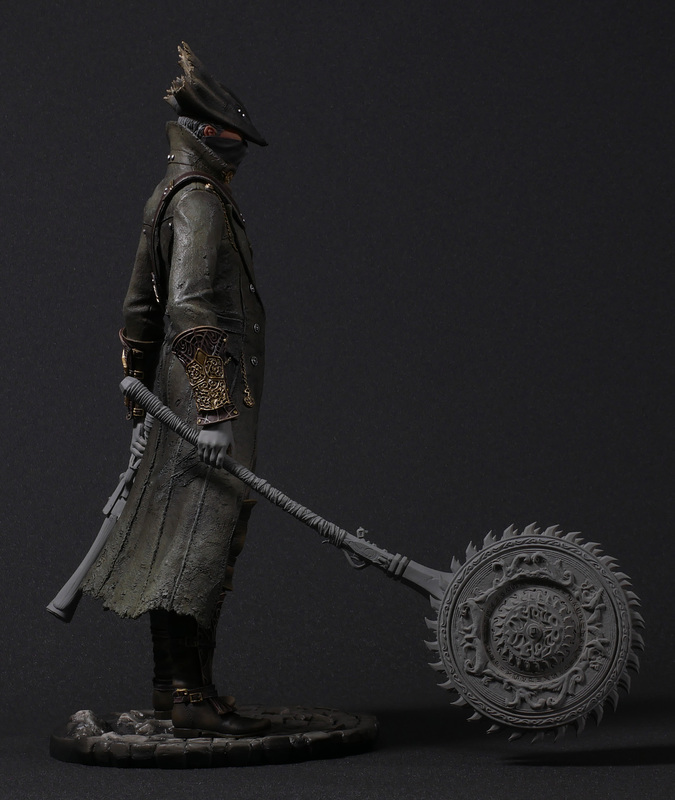 For the price I was expecting the paint job to be better on the axe, torch and saw, but after thoughts it's very well detailed. The board though...there's a couple of thing I don't like about it. It's very thin and it feels fragile, and you have to make your own holes in it. If you make a hole at the wrong place, or decide to try out something else and are not happy with it, well, your board is ruined. Am I the only person unreasoanbly geeked for this? I probably am. 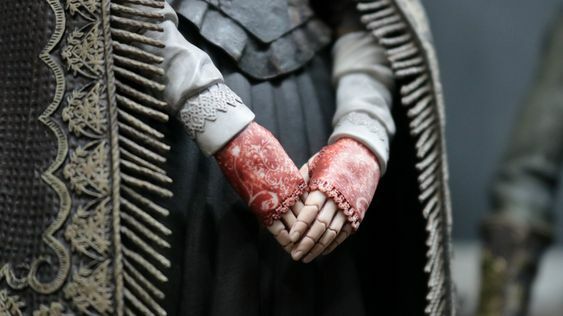 I've got my doll...looks awesome. But feels very light. That was a really well done review ! Captured all the key points and like that you had a comparison with the prototype! i never played this game but would like to. i always thought his hat design is very weird. 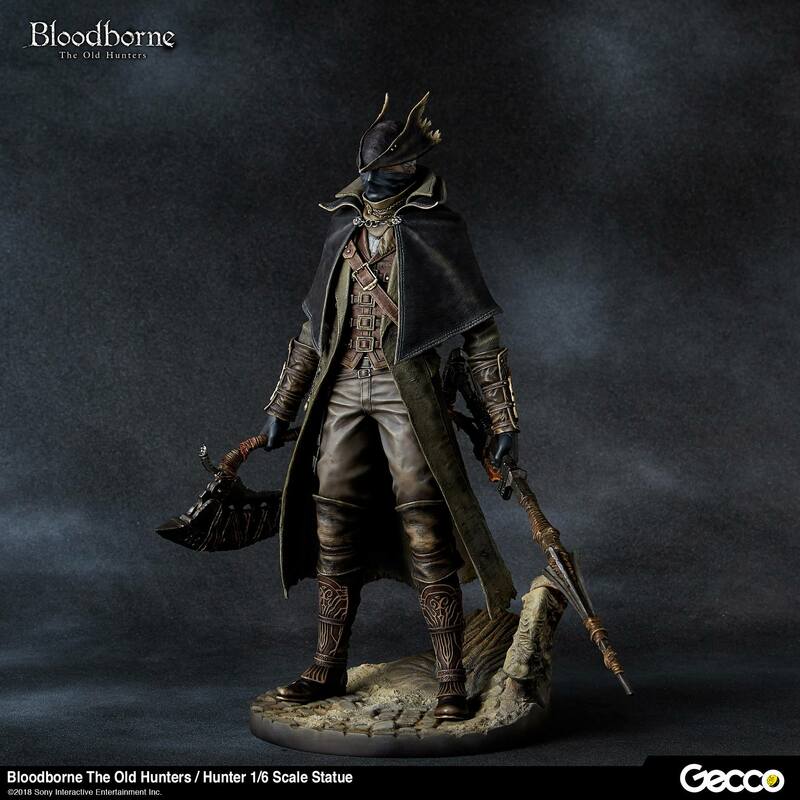 This hunter looks cool enough, but the weapons are on the boring side of BB gear, and it's a shame we didn't get Alfred or another NPC instead. Looks pretty good. 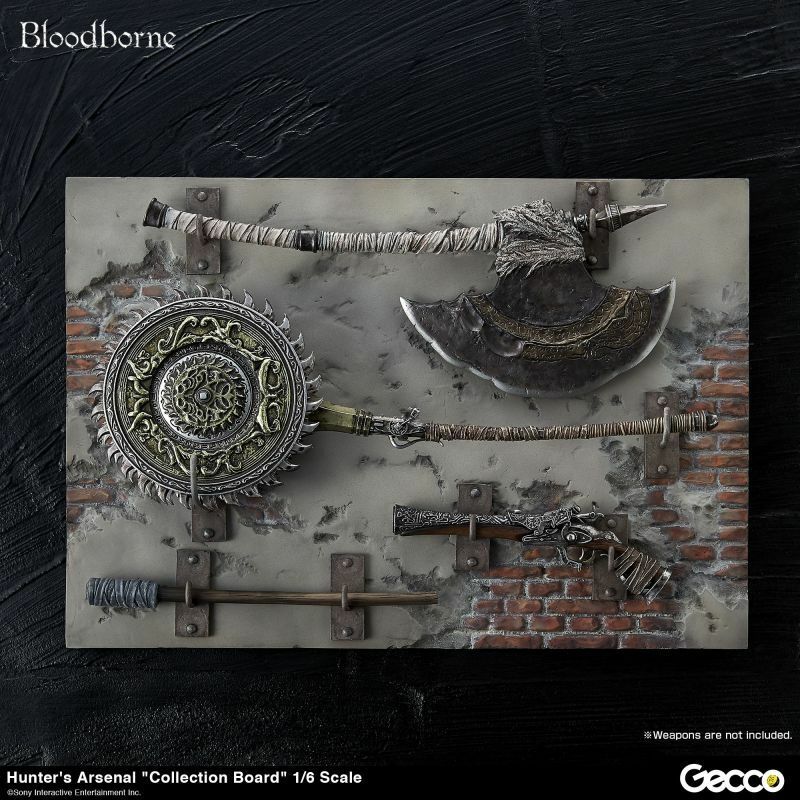 Very curious to see what Gecco will do next. 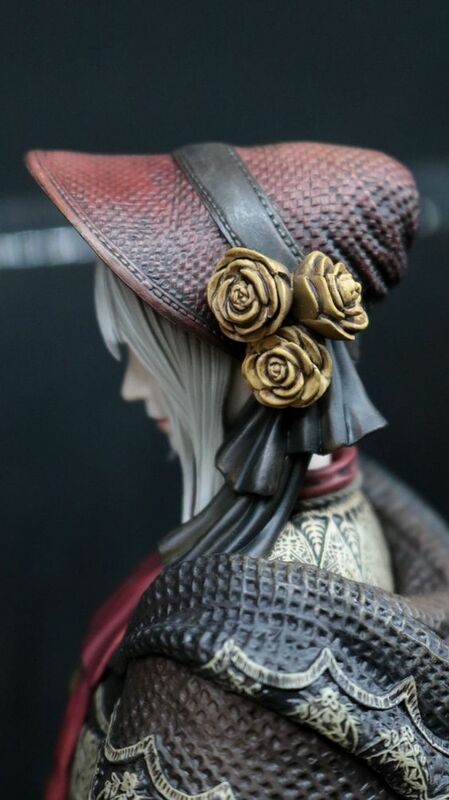 Extra weapons is cool, but what about a lovely Lady Maria, Gherman, etc.